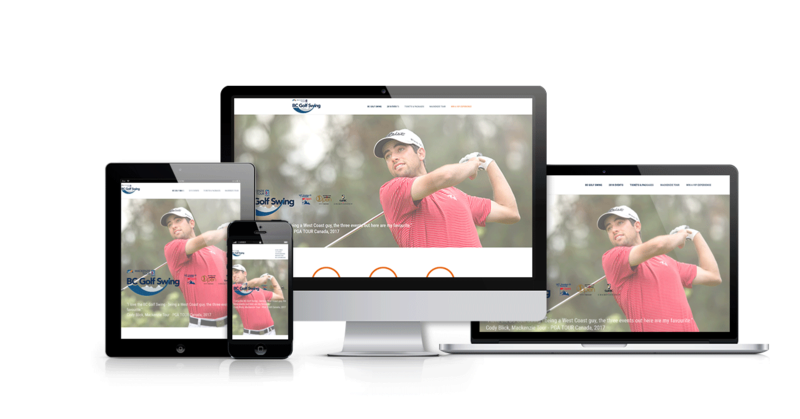 The Web Advisors are extremely proud to call the British Columbia leg of the Mackenzie Tour – PGA TOUR Canada – affectionately called the ‘BC Golf Swing’ – one of our great ongoing partners. While the BC Mackenzie Tour events have in the past been successful in generating ~14,000 spectators, ~125 sponsors, $224K for local charities and $8 Million in annual economic impact, we recognized the considerable opportunity for growth. With the assistance of Tourism Events Program funding, the BC Golf Swing initiative was created by our team, with a view towards collectively driving that growth and contributing to the long term viability of the Mackenzie Tour – PGA TOUR Canada events in BC and their increasing economic impact.